In November 2011 writer Lucy Rutter and I produced a sound installation, ‘Moving On’, for the Fludde Festival in Faversham. 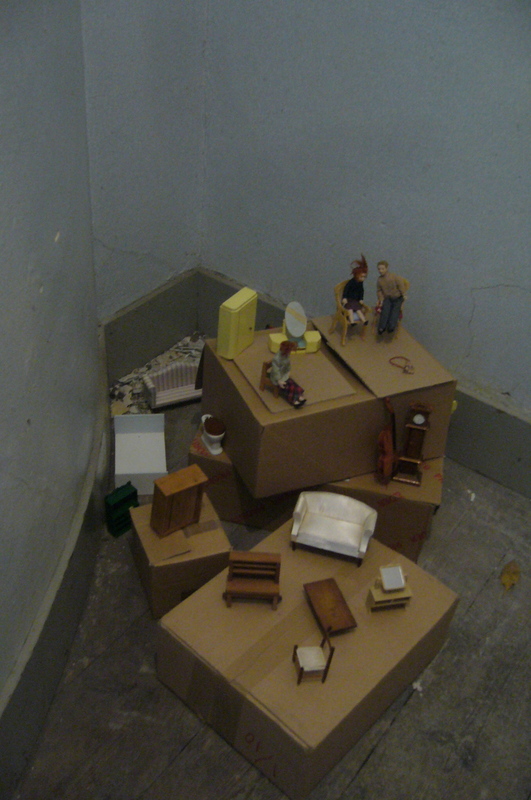 The project consisted of an installation of packing boxes and doll’s house furniture plus a recorded soundtrack of us reading a poem we had written jointly. We also had a poster where we invited people to respond to the questions ‘What would you take with you/leave behind if there was a flood…?’ and I turned their responses into a new poem which I read at a spoken word evening during the festival. The process of collaboration began when Lucy and I discovered that we had both written about clearing out rooms – in Lucy’s case, her daughter’s room after she moved to university; in my case my mother’s room after her death. We wrote our pieces separately then gradually wove them together, editing as if for a piece of solo writing. We are hoping to continue with more poems in the coming months. 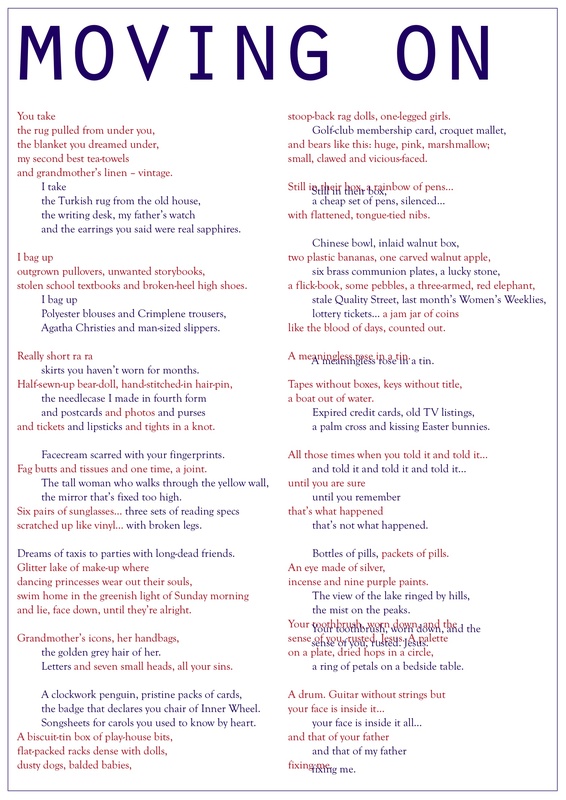 The poem is reproduced below. Text in red is read by Lucy, text in blue by Vicky, overlapping text by both of us in chorus.